Make your own carnival headdress! Children are invited to come celebrate the Chippenham carnival by coming to create their own headdress and flags! 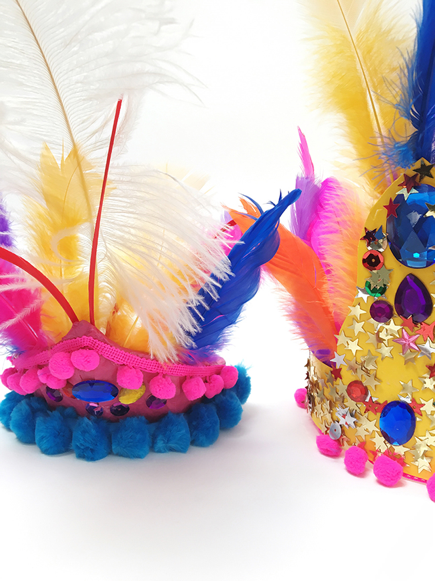 Get creative with pom poms, gems, feathers and sequins and join in the procession! Come join the fun, feathers and festivities on 14th of July between 11am-3pm and bring your little ones!